Welcome once again everybody to your EXCLUSIVE live coverage of WWE Raw! As usual refresh the page throughout the night for continued coverage, and chat with us in the comments below or on Twitter @PW_dotcom or @dougEwrestling. 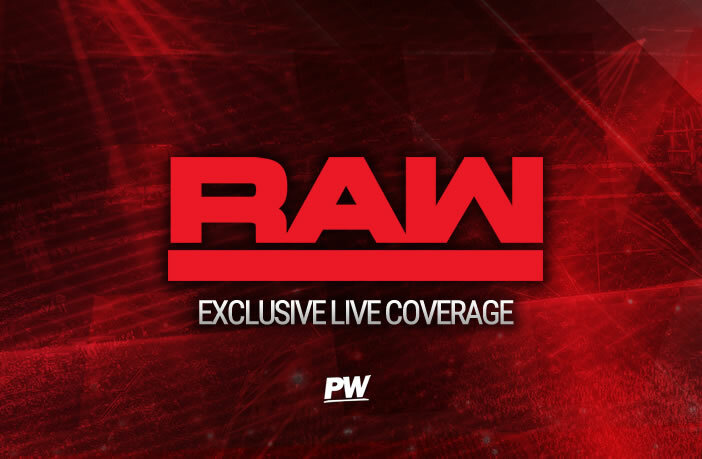 To get caught up, check out the RAW preview HERE! We start the show with the baddest woman on the planet, the Raw Women’s Champion, Ronda Rousey! She is greeted by boos and chants of “BECKY BECKY BECKY” followed by “WE WANT BECKY”. She says that for the first time ever, women are going to be the main event at WrestleMania. She only has one thing to say about that….”YOU’RE WELCOME”. She is going to tap out Charlotte and Becky at the same time at WrestleMania. She says that she has no idea what a “Beat The Clock” challenge is, maybe another one of their gimmicks here, but she says to get this out of the way. Out comes Becky Lynch! She tells Ronda to stop being a weirdo. She came in with her big money contract and the whole world yawned. She said that she wrestled the best of the best but nobody gave a damn until the MAN came around. The best thing that ever happened to Ronda was her, and THAT is why they are the main event of WrestleMania. She says that the only way this ends is with the title above her head and her skull above her foot. The QUEEN IS HERE! Out comes Charlotte in FULL GEAR for her challenge. She says that the women are the main event not because of what Becky has done the last 6 months, not because what Ronda has done in the last year, but because of what she has done in the LAST 7 YEARS. Logan runs away for a good 20 seconds before Ronda chases her into the ring and dropkicks her low. She proceeds to lock her up in a reverse cloverleaf. Ronda counters with an armbar and makes Logan tap in 1 minute and 25 seconds. Charlotte is tossed over the top rope quick and then the two start going at it. Time is running out quick as Charlotte is able to lock in a figure-4 but Riott goes past the allotted time and Charlotte does not beat the clock. Before the match can actually start, Charlotte is upset about her “loss” and gives Becky a big boot. The match starts and Becky looks to collect herself and Morgan hits an x-factor and goes for a cover, but Becky kicks out. Becky goes for a dis-arm-her but Liv gets out. Becky is able to pull off a quick pinning combination and beats the clock with 10 seconds left!